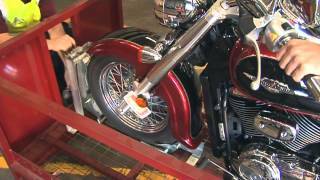 At CEVA, we understand cars, motorcycles and other vehicles and we understand people. That's how we deliver the service you want. Anything less is unacceptable to us. 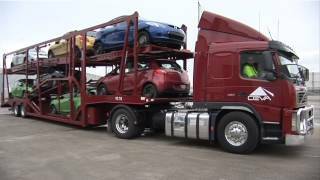 If you’re looking for local or interstate car transport or just a convenient vehicle freight service, CEVA Car Carrying offers a range of vehicle relocations solutions to suit your vehicle transportation needs. We also own and operate our own auto carrier trucks, we are not a broker. We are more than happy to assist you in obtaining the most competitively priced car transport and vehicle relocation quotes. We are a leading vehicle transport company and are continually aiming to improve to suit our customer’s needs. People have many questions about vehicle transport and moving cars. We have listed some of the more frequently asked ones below. If you have a question about vehicle transportation or moving your car, you can visit our FAQs section or contact our friendly Customer Care Centre here. There are a number of ways you can obtain a vehicle transportation quote. The easiest and fastest quote can be obtained on the main page. This will provide you simple interstate transport quotes from depot to depot. For a more comprehensive quote, whether you’re after door to door transport, rural vehicle transport or anything in-between, you can visit our Quote & Book page. This will also provide you with up to 8 prices at once so you can compare transportation quotes with your needs. Our standard transit days are available when you request a quote through our quick quote system or Quote & Book page. Any public holidays, delays and force majeure events can be found in our Service Alerts page. Do I need to be present during pickup and delivery of the vehicle? Yes, you or someone else must be in attendance to sign off or sign for the vehicle and go through the inspection survey. If there is no one present there may be additional fees for the wasted journey as we cannot do an unattended collection or delivery. 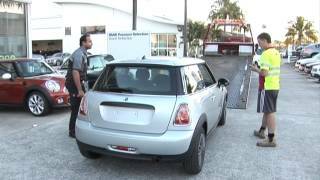 Do you transport non-running or damaged vehicles? In general no we do not, however in some instances and on some lanes we are able to transport non drivable vehicles and vehicles that have minimal damage. For more information, please see our Damaged and Non-Drivable Vehicle Transport section or contact our Customer Care Centre here. Our service is impeccable and the people on our team have the skills and experience to move your vehicle with great care, reliability and efficiency. Our modern fleet of transporters helps make sure your vehicle is safe and secure at all points of its journey. 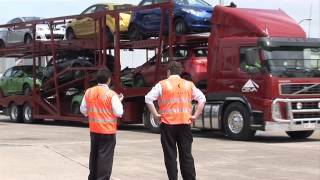 That's why most major removal companies and many leading vehicle importers and prestige car dealerships choose CEVA to transfer cars and other vehicles for them. CEVA in Australia is part of the global CEVA Logistics company which operates in over 170 countries and employs more than 44,000 people. Every day we do what we can to reduce our environmental impact and contribute to our community as well as deliver consistently high standards of service as car transporters. In Australia, we have joined the Federal Government's Energy Efficiency Opportunities program, which encourages Australian businesses to improve their energy efficiency by requiring companies to identify and report publicly on cost-effective energy saving opportunities. At CEVA, we use a unique online system to track, report and monitor our carbon footprint, and this system shows us the measurable savings we make in carbon emissions and cost. We have adopted a holistic company-wide sustainability program to reduce our environmental impact, especially carbon emissions. 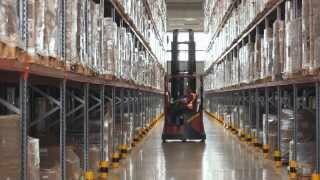 It includes our transport and warehouse operations, procurement and business travel. 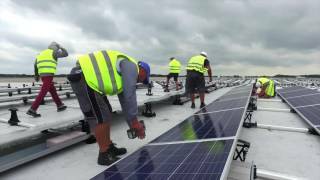 This program is based on CEVA values and is closely aligned with other initiatives that reflect our commitment to corporate social responsibility. ISO14001 confirms that we go beyond government regulations to minimise the impact of our operations on the environment. We are also proud to contribute to a better society by sponsoring the Motorvate program across Australia. Motorvate educates young drivers in safer driving skills and attitudes. Safe drivers mean safe transport. And professional, trained and experienced drivers mean your car or motorcycle is always cared for and arrives safely at its destination. We pride ourselves on caring for your vehicle as much as you do, and delivering your vehicle safely, securely and on time. So no matter what the road conditions, across Australia's diverse highway network and in all weather, you can be assured that our drivers will safely transport your vehicle to your destination. "I've been a driver for CEVA, working out of Melbourne, for the past six years. " "I drive one of the most modern car carrying rigs in our fleet. It's a Mack Trident MP8-500 (18 speed road ranger and sleeper cab) with an overhead car frame towing a Top Start 7 Car Carrying Trailer." "On any given day, you'll probably find me on the Hume Highway between Melbourne and Sydney. I love the sense of freedom I get from driving interstate, and I enjoy having lunch in a different place every day!" "When I'm not driving my rig, I still spend time with wheels. I'm a real car lover, and I drive a Subaru." "It's important to me that I can take good care of your car while it's in my hands, right through its journey with CEVA." "My top tip for customers is to leave a note in your vehicle if you have any special instructions. I'll see it and look after your car exactly how you'd want me to." Wait a couple of seconds once the video stops to get back to the Gallery. Click on the X button to close the Gallery once opened.